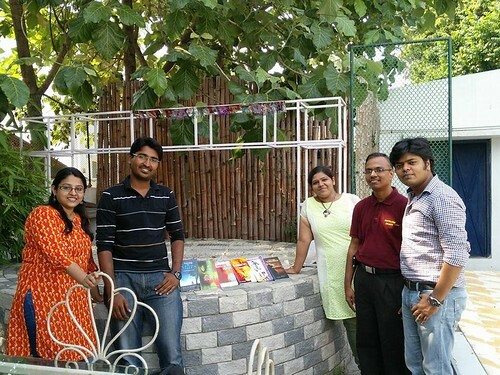 On September 05, ’15, a few of us authors and a few more writers & authors in the making got together for an informative event on the craft and business of writing and selling books. It was more of an informal event where we spoke about various aspects of publishing we knew about, in order to guide and encourage new authors on the publishing and e-publishing process. 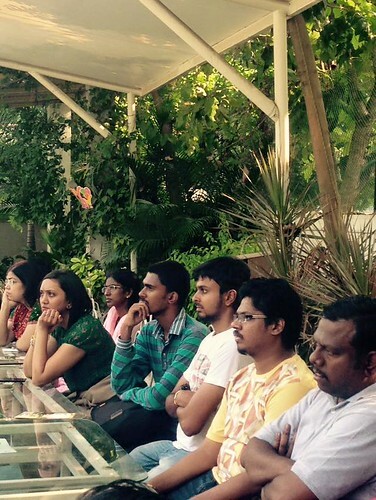 Some of the attendees in rapt attention! I don’t remember who spoke afterwards and in which order, but I do remember that Sashi spoke about Haiku poetry, Ishwar spoke about spoken poetry, Ganga spoke about traditional publishing, I spoke about Print on Demand and eBook publishing, VJ Eshwar spoke about experiences with his traditional publishing firm, Dhasa Sathyan spoke about the craft of writing short stories. Someone else spoke passionately in an American accent on why authors need to leave their comfort zone, set their stories outside India, and write for a different audience, etc. I forgot his name! We had displayed all our books there. 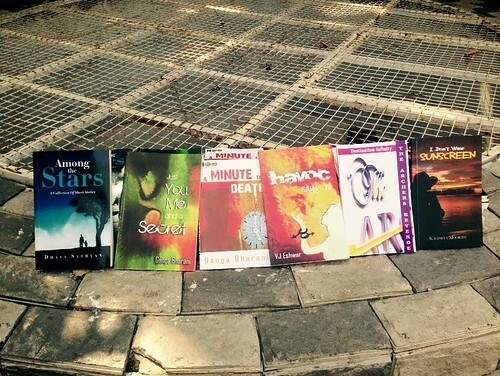 I bought 8 of my own books for this event and 6 of them sold off! There are two more remaining, if any of you want let me know 🙂 I made many new friends and was glad to meet many of my old blogger/writer friends. The ambiance at House #22 cafe was good, especially the outdoor lawn. Actually they gave us the space for free, and took only the money that came via selling beverages. So thanks to them. We also did not charge anything to the attendees. People just had to pay for their own beverages. Altogether, an afternoon/evening well spent. It was an excellent event that enabled us to network with fellow authors and learn about different aspects of book publishing. 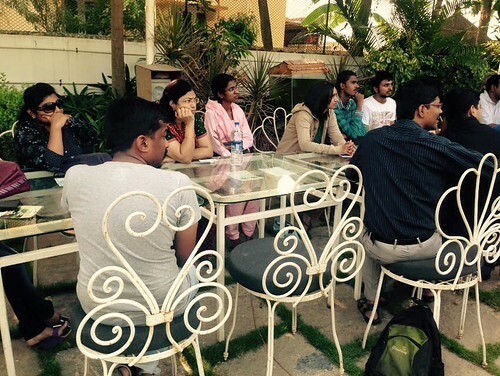 I think Chennai needs more informal events like these to foster a good culture of literary writing. Yes, I’ve been wanting to attend such events in Chennai for sometime, fortunately it happened sooner. 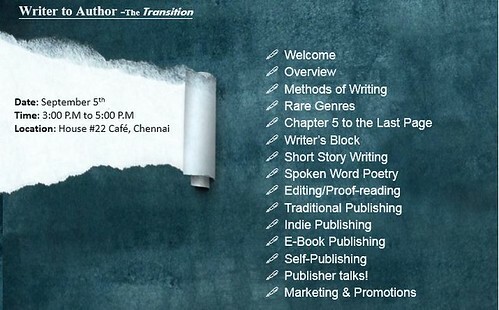 I am glad authors and writers & authors in Chennai had a great and informative session. You decided to meet at 12 PM in order to plan. You were the first person to show up at 1:10 PM. The second person showed up 40 minutes later. Romba nalla irukku! Next time if possible record it and upload here on site so we can also learn few things. Good idea. I’ll try to a summary post of my speech there.